In the winter of 1838, U.S. forces removed the Cherokee Nation from their homeland in the southeastern region of the United States and forced them to migrate west. The infamous trek to Oklahoma killed roughly 4,000 Native Americans and became known in the Cherokee language as “Nunna daul Isunyi” (The Trail Where They Cried). Many Cherokees died from the hunger and cold, while some were murdered outright. The beans survived and, thanks to seed saving, still grow to this day, despite that fateful and inhumane march and in honor of the men and women who made the journey. Trail of Tears beans dry well on the vine and are usually harvested in the fall. Nevertheless, we already have a few from our garden. These black beans have a rich taste and are perfect cooked with rice, burritos, chili and salsa. They have also been used as beads for jewelry. Much more importantly, they are a tangible connection between us and our history. At a time when current events stare us in the face every day – from serious issues like war to perhaps more stupid issues like which team is getting LeBron James – it’s hard to take the time to remember the past. But we simply must. God forbid events so heinous as the Trail of Tears happen on our soil again. And God forbid we forget that it was people like us – normal, everyday men and women – who allowed it to happen. 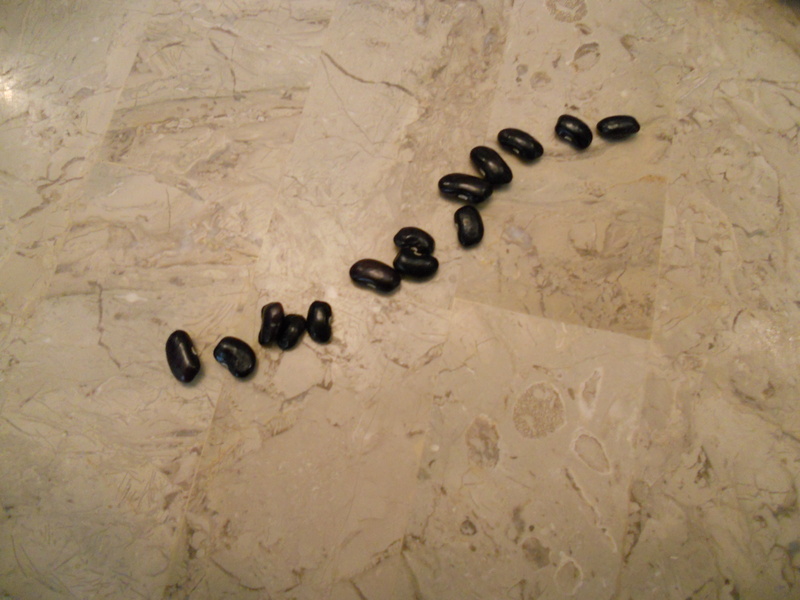 Growing, drying, soaking, cooking, serving and eating Trail of Tears beans is a process that has the power to take us on our own journey of remembering the tragedy, honoring the victims, celebrating the survivors, and (for non-Natives) repenting of our communal sins against entire nations. That all of our meals could be so bittersweet. Have you grown or eaten Trail of Tears beans? Tell us about it here! Is there a particular food that connects you to your history in a special way? How do you recommend serving black beans? You can buy Trail of Tears beans from Local Harvest and Seed Savers Exchange, among other places. And read a lovely essay about the beans from Milkweed Diaries. I’ve always been moved by the trail of tears story. In addition to understanding what happened to one group of people it reminds me tha human history has always been a battle between State power and the rest of the human race who don’t want to be enslaved. Thanks for sharing this with your reader friends, Joanna. 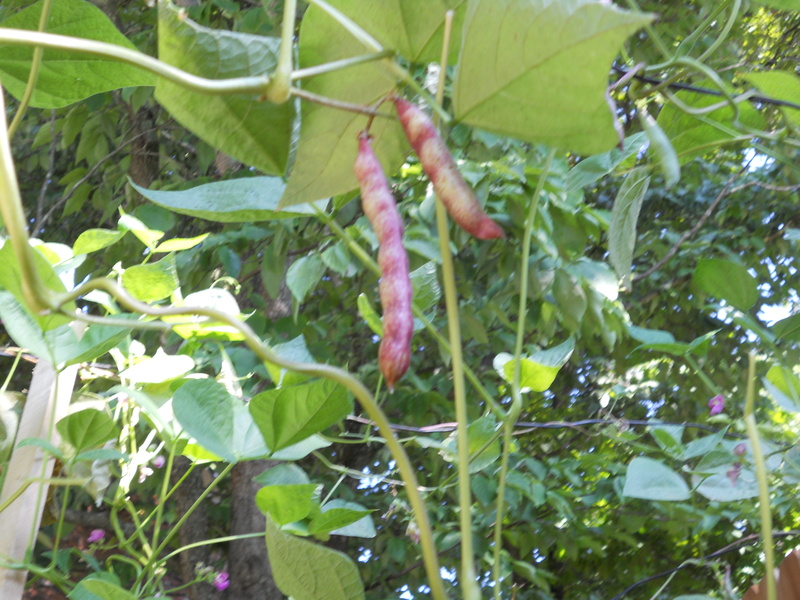 I grow these beans as a reminder of my ancestors who walked the trail. approach? I’ve a undertaking that I’m simply now working on, and I’ve been on the glance out for such info. I have been planting Cherokee Beans for two years and really enjoy them. each year I save some to replant the following year. I was given some trail of tears beans last year, I planted them this year and got white beans, not the beautiful black beans I planted. What happened? Thank you for this wonderful history lesson for me and the whole world to read about. This is the first year I have planted Cherokee Trail of Tears beans and I have many to be thank of for on my vines. I would never have guessed I would learn so much about history just by planting seeds for our families garden.